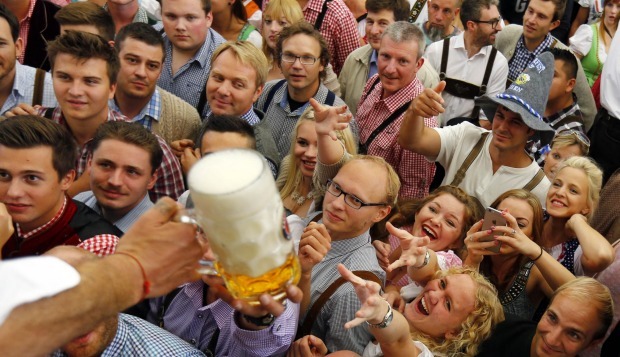 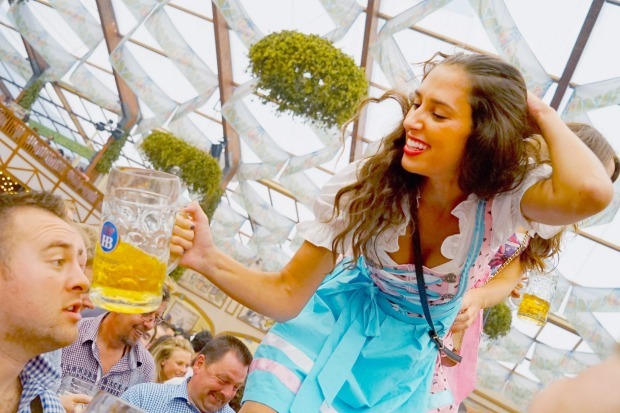 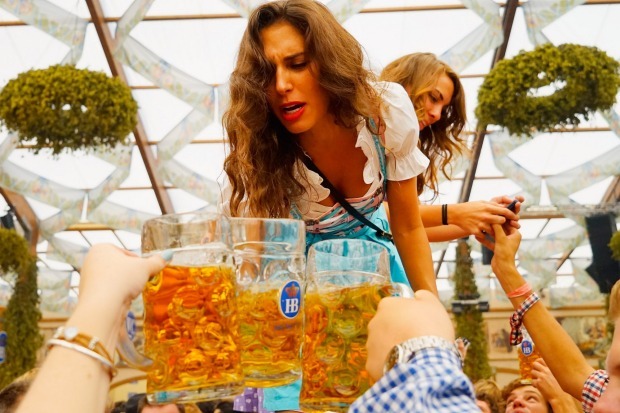 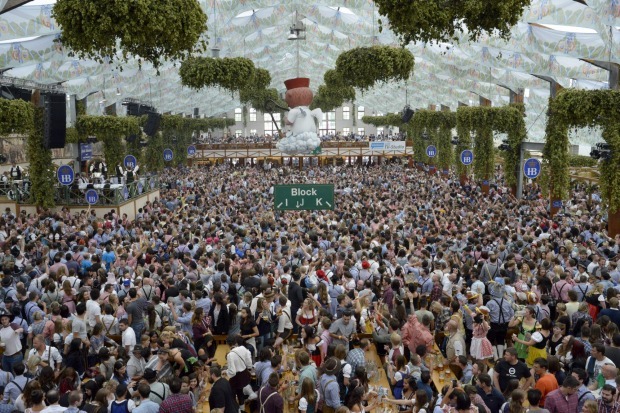 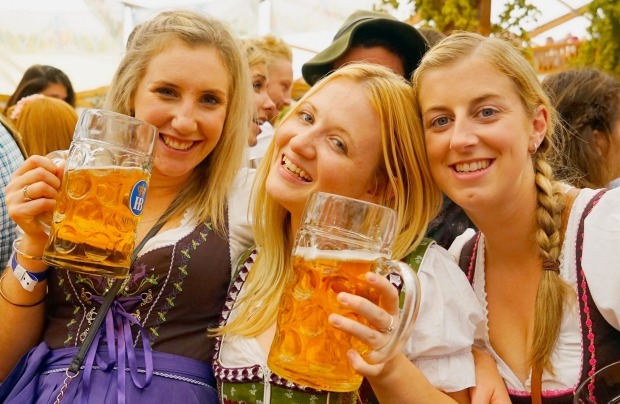 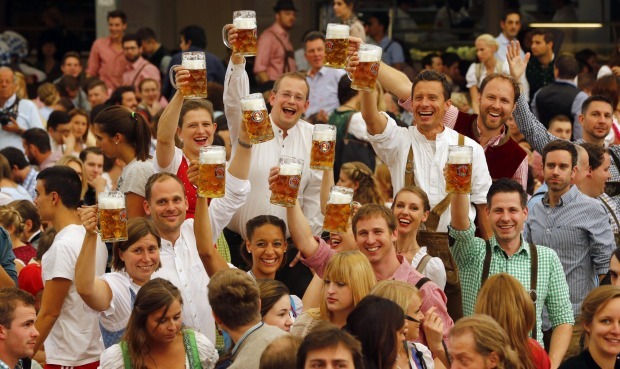 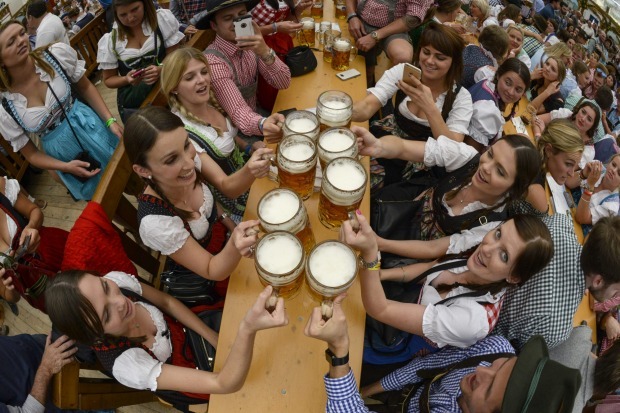 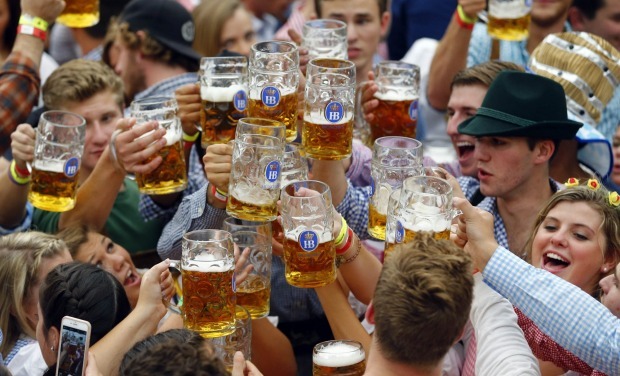 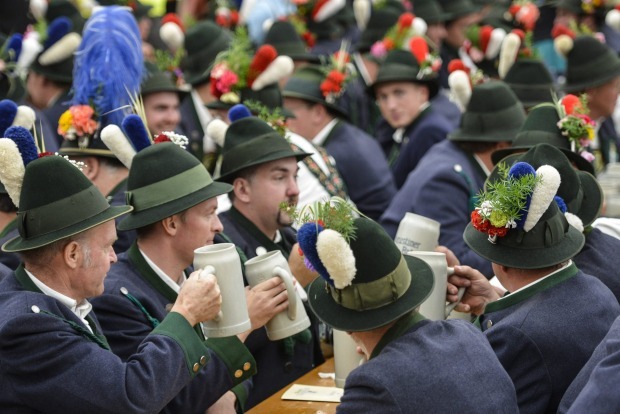 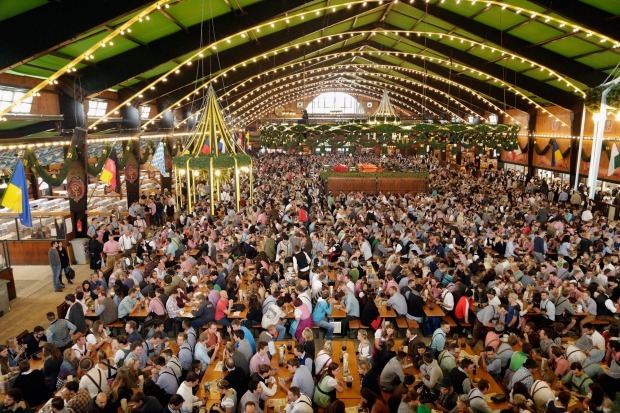 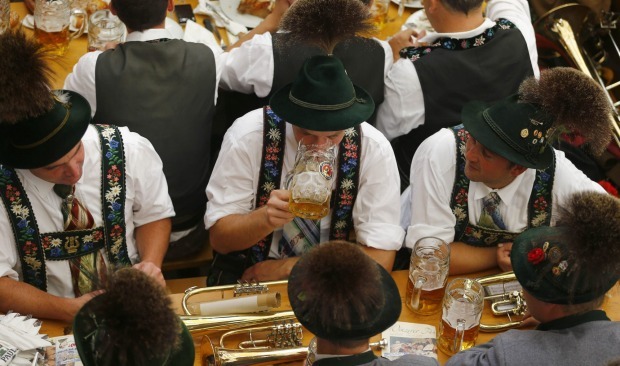 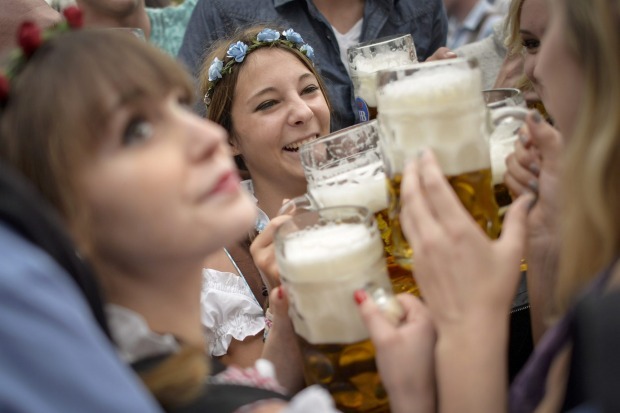 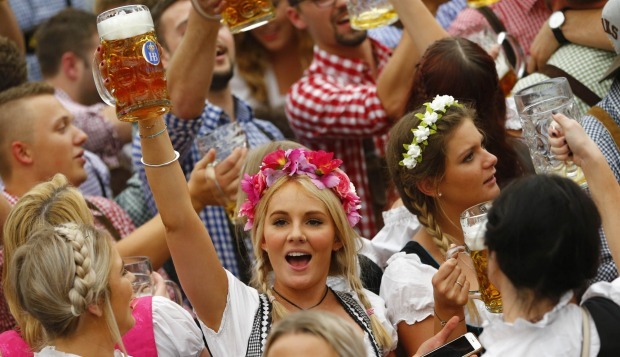 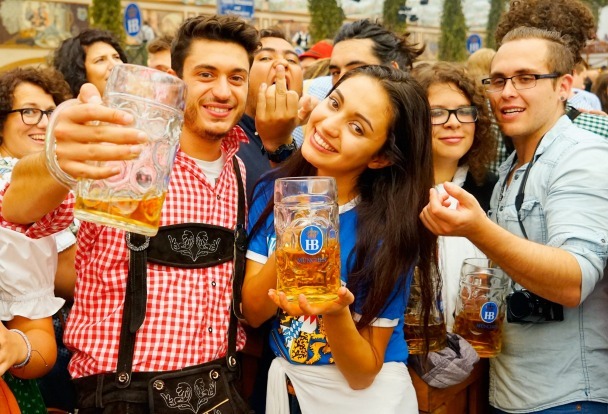 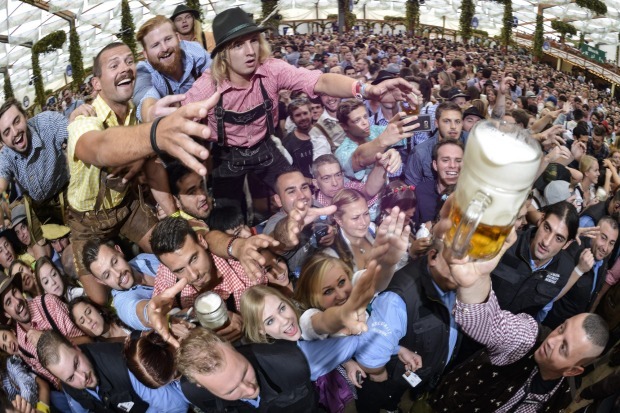 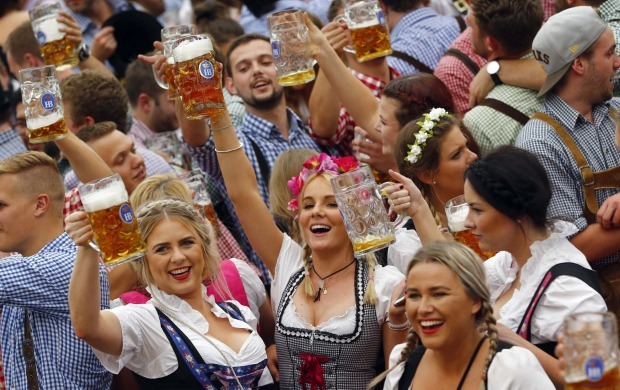 The beer is flowing again at the world's largest beer festival, Oktoberfest, in Munich, Germany. 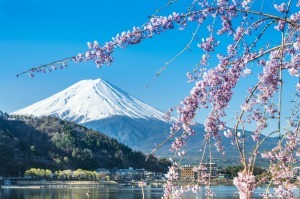 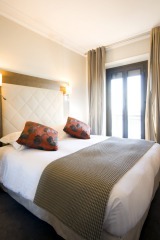 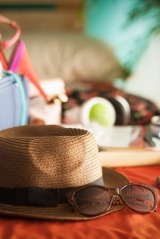 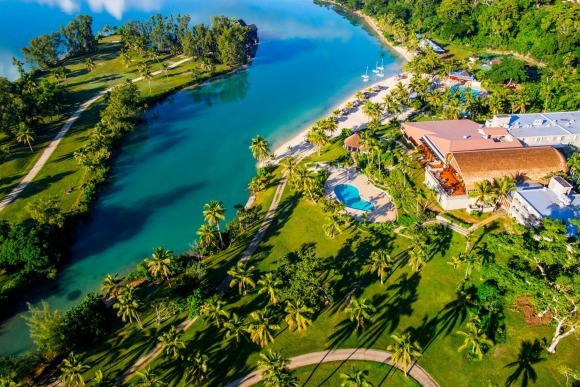 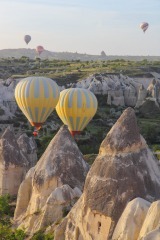 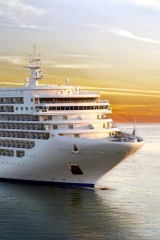 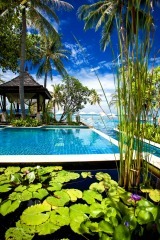 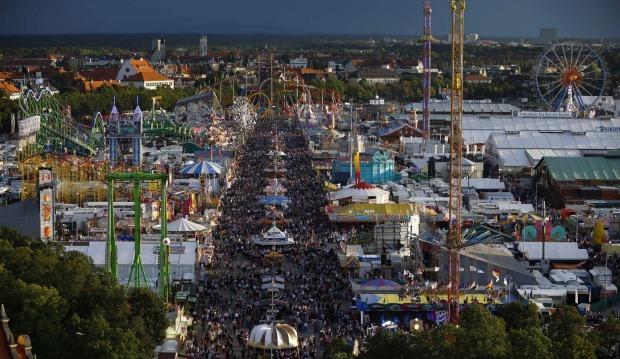 The 16-day festival runs annually from late September to the first weekend in October. 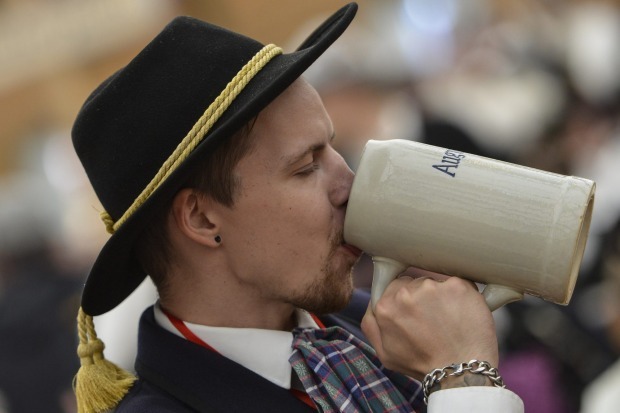 The city's mayor, Dieter Reiter, inserted the tap into the first keg on Saturday with two blows of his hammer and the cry of "O'zapft is! 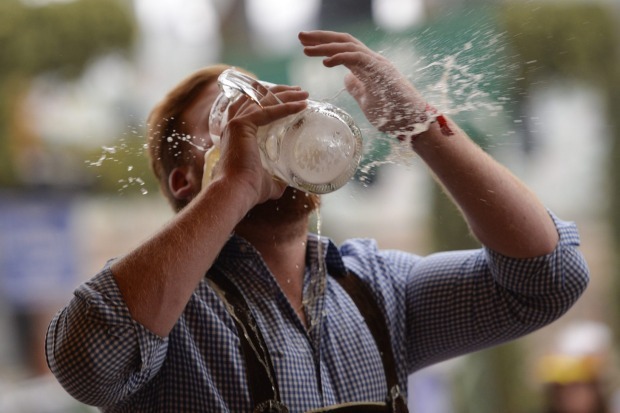 - "It's tapped!" 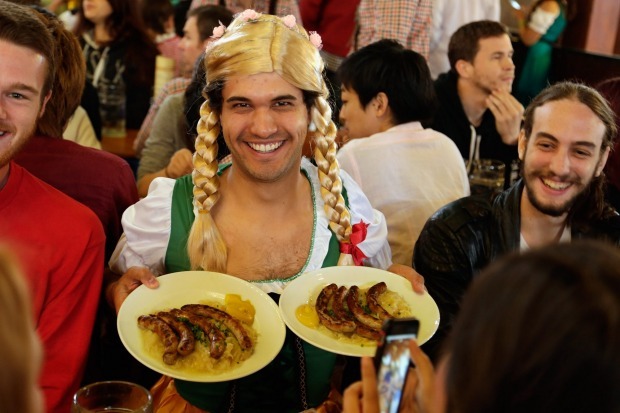 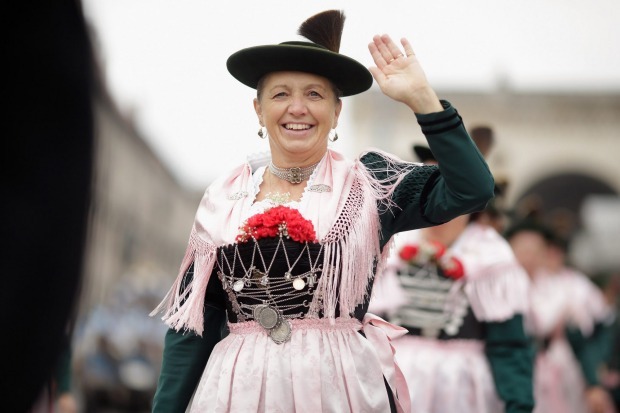 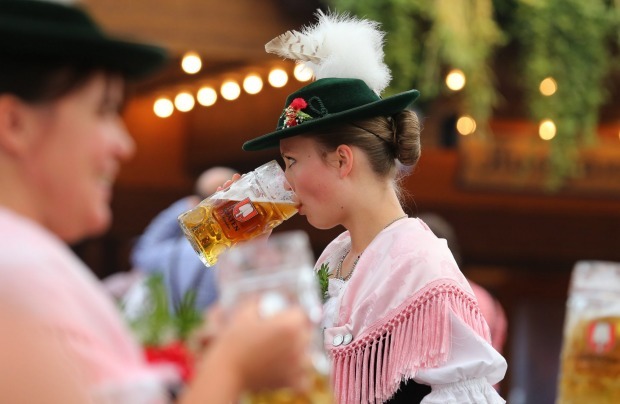 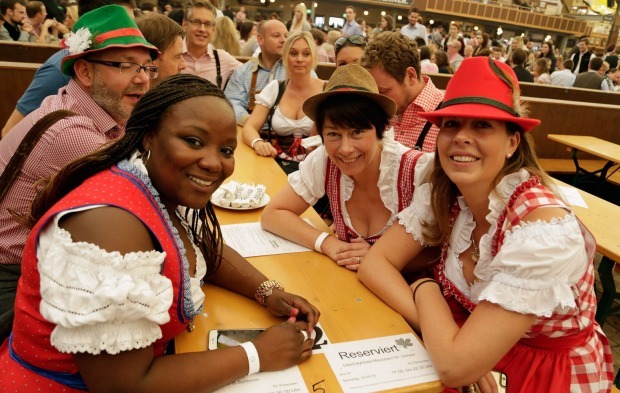 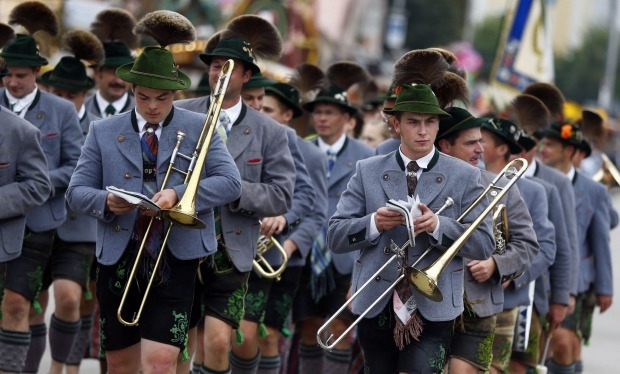 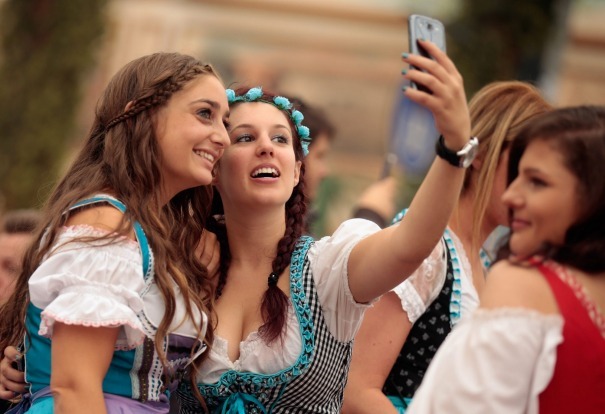 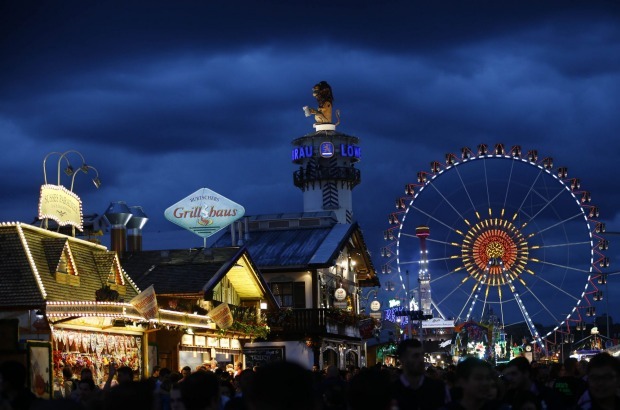 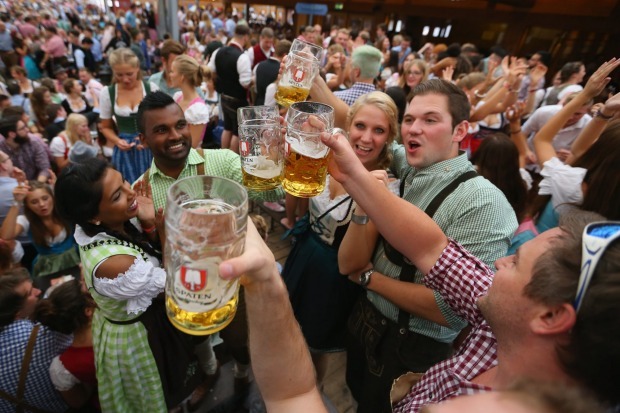 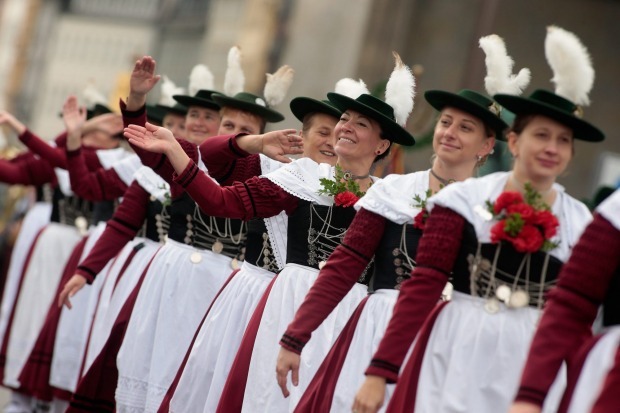 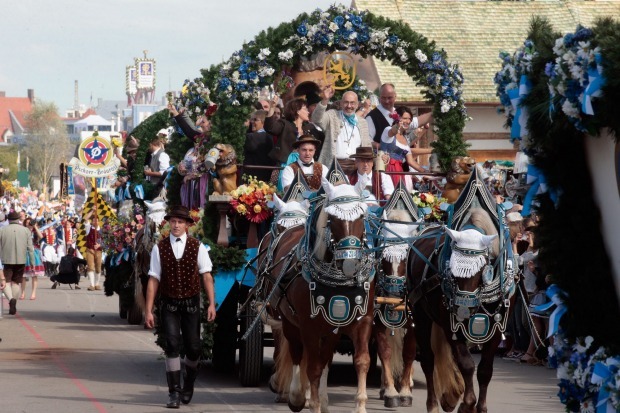 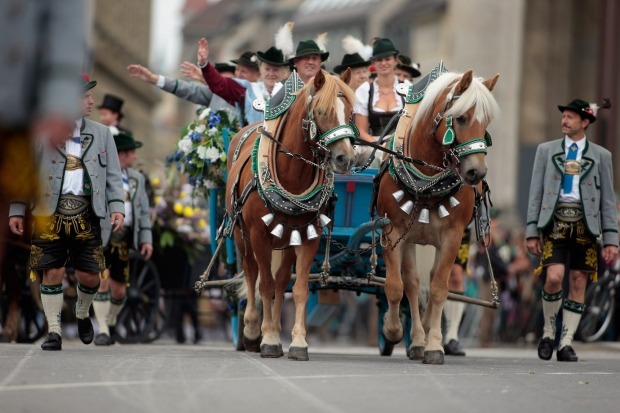 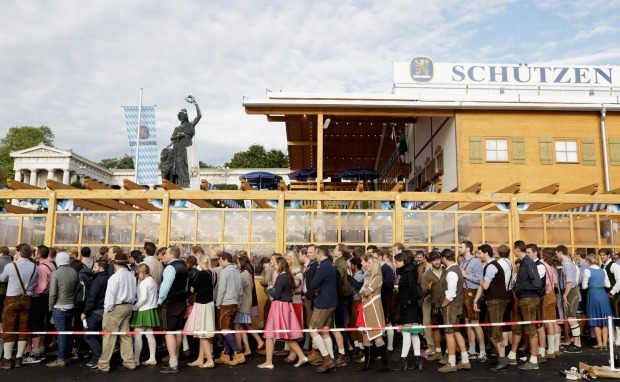 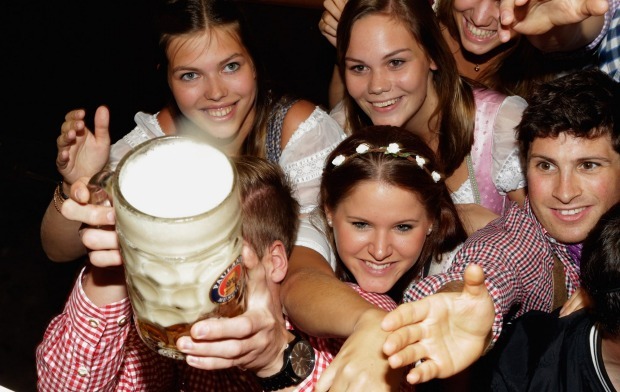 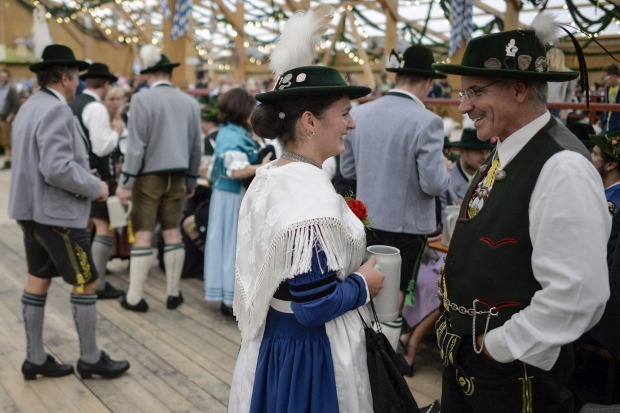 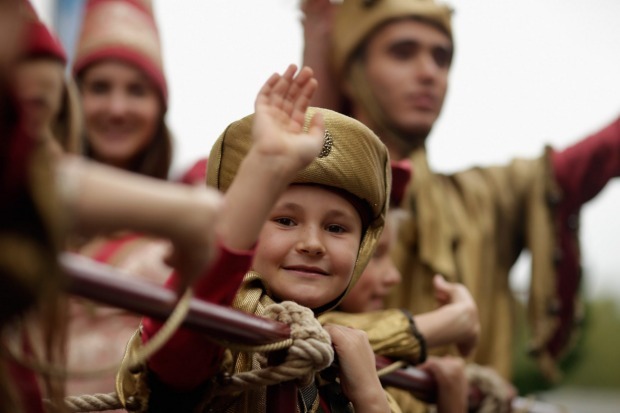 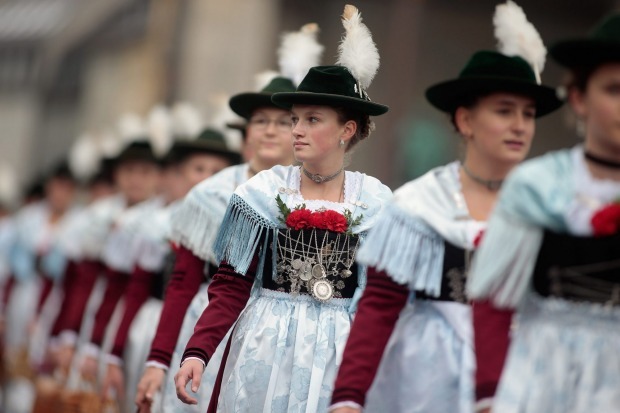 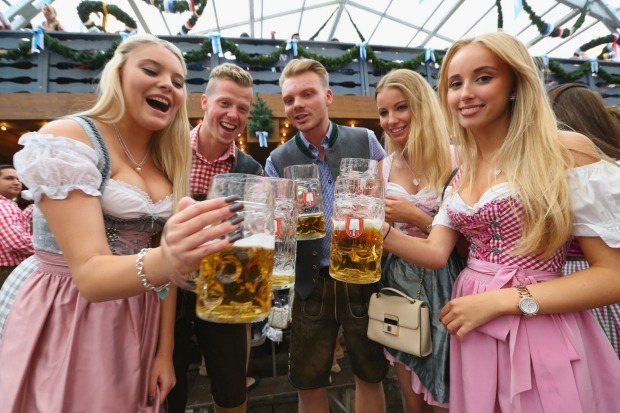 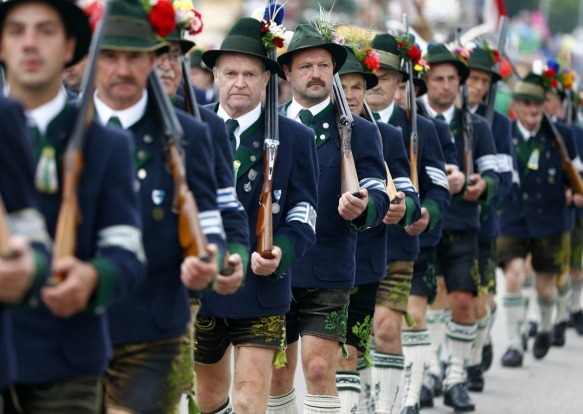 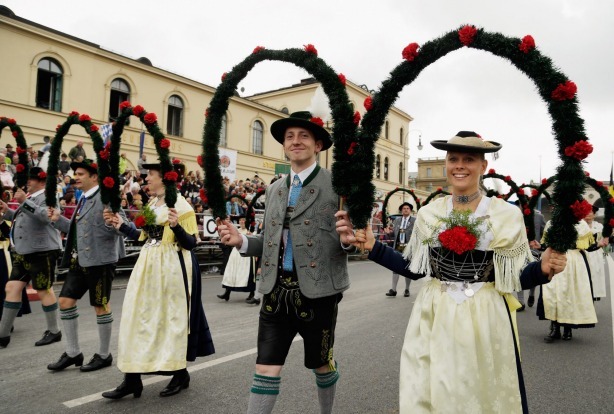 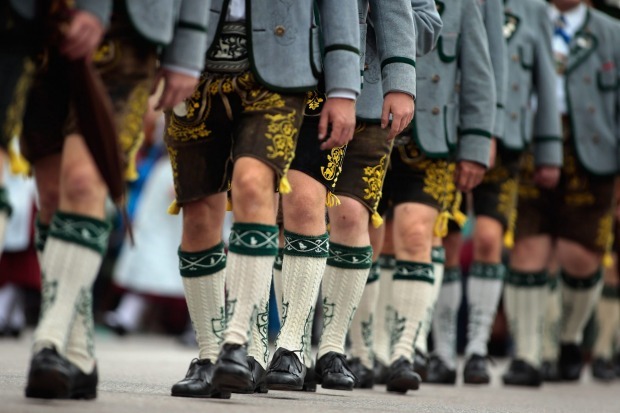 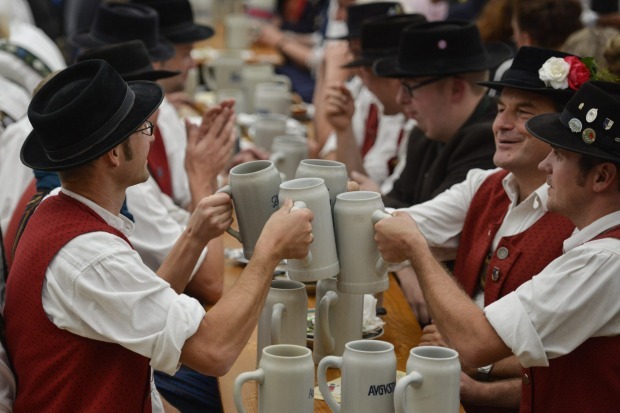 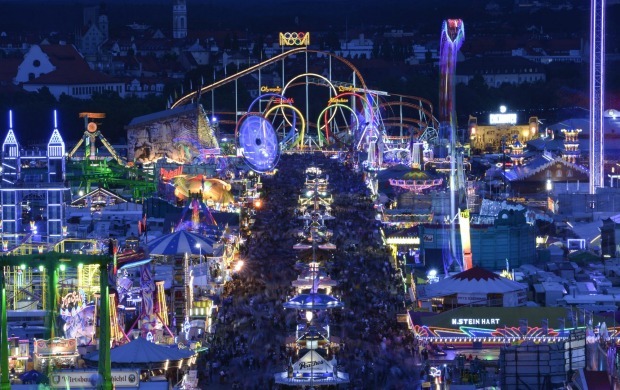 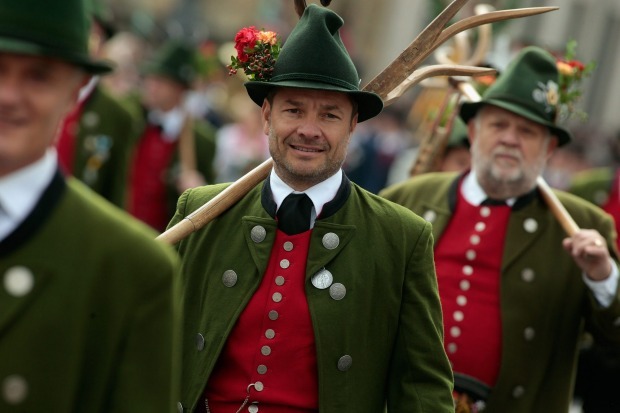 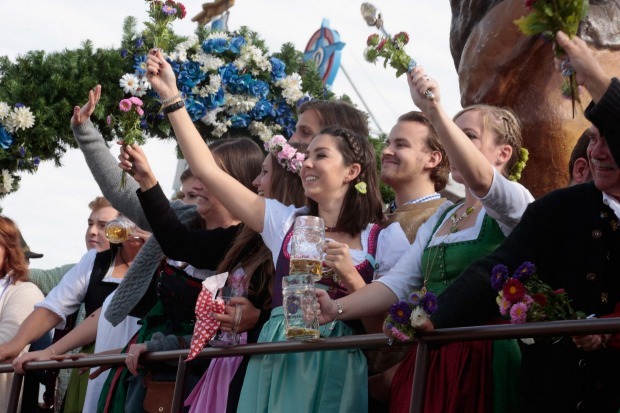 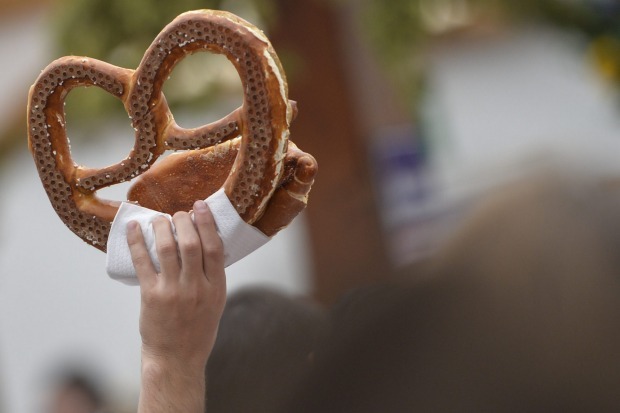 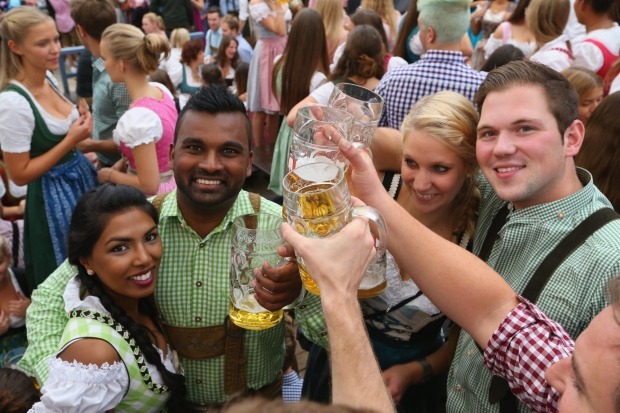 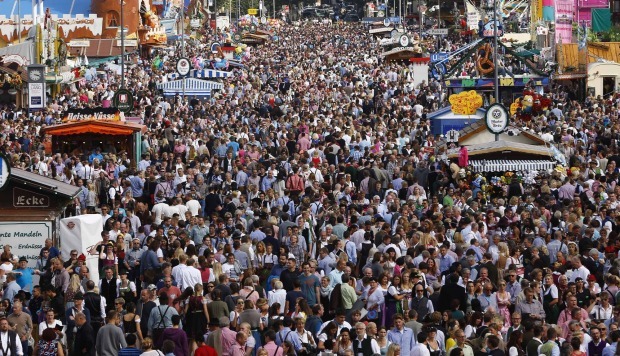 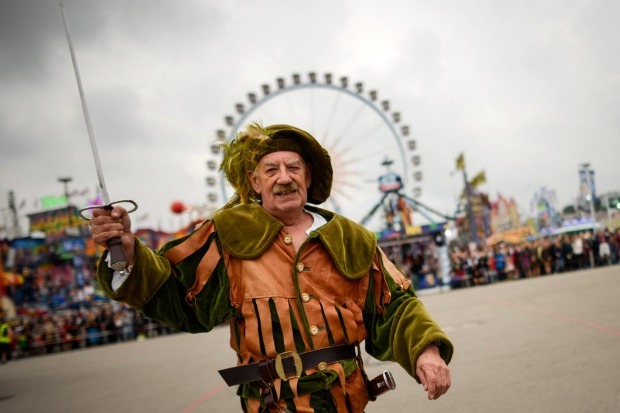 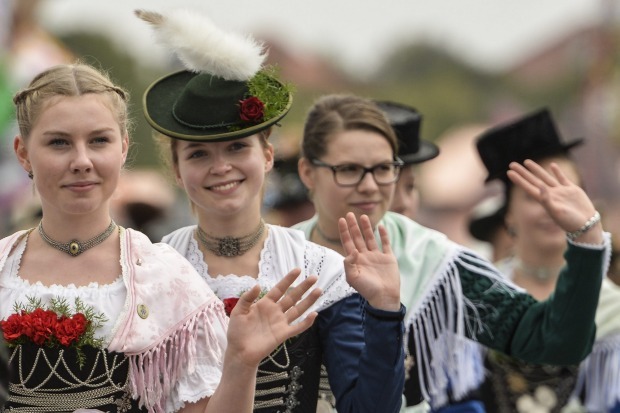 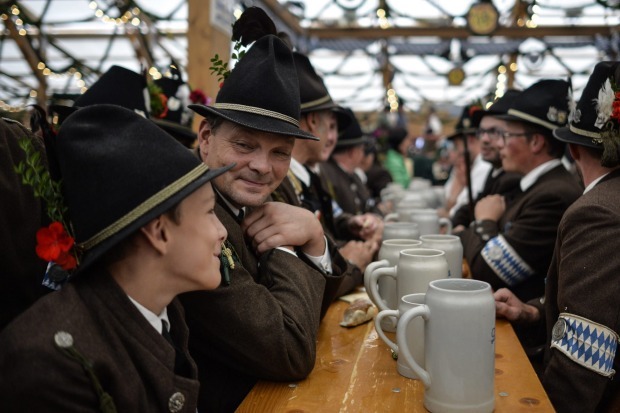 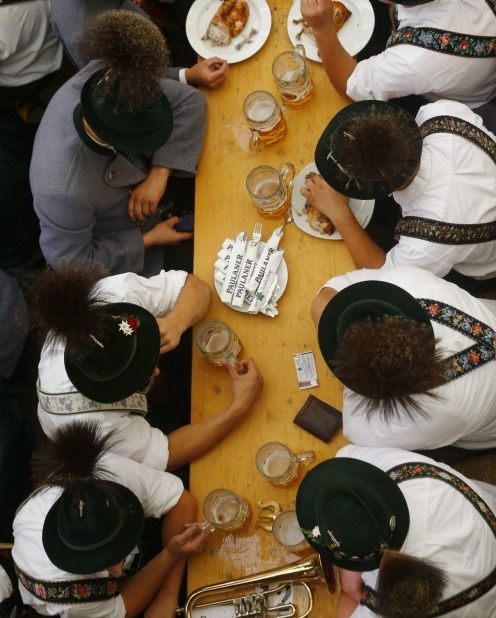 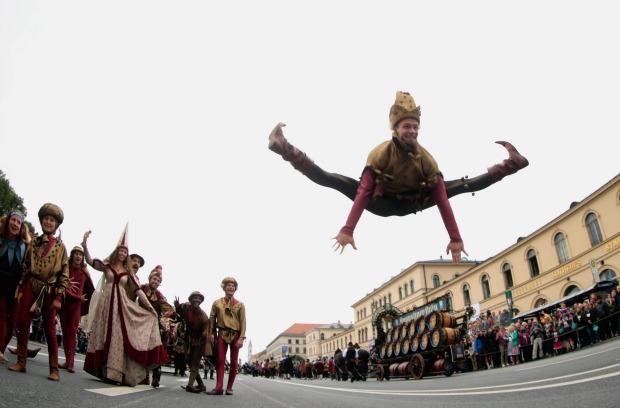 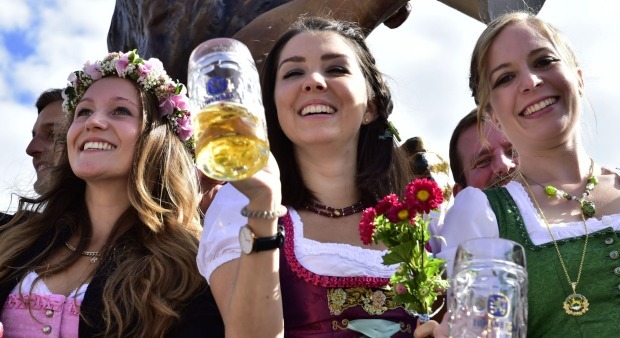 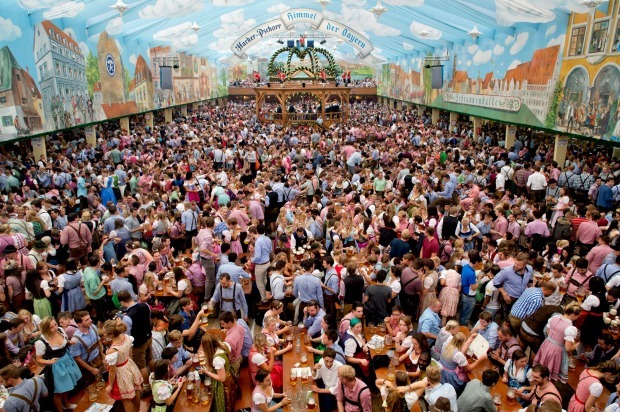 Some 6 million visitors are expected in Munich for the 182nd Oktoberfest, which runs through to October 4.